The interior of Sage Studio gallery. Photo by Whitney Arostegui. Even though Katie Stahl enjoyed painting when she was growing up, she earned her college degree in psychology. Later, a friend’s suggestion led her to visit Creativity Explored, a San Francisco art center with a special mission: helping people with developmental disabilities become working artists. 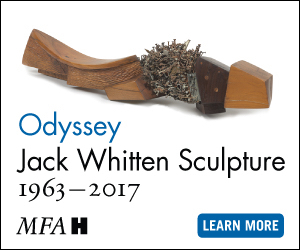 She first explored the center’s gallery, where its clients’ creations were on display. Then, stepping into the capacious studio in the rear, she saw its artists at work. That triggered Stahl’s a-ha moment. “I left with a feeling of, ‘I want to do that,’” she says. Returning home to Texas, Stahl got a master’s in art education, focusing on programs for people with disabilities. SAGE Studio co-owners Lucy Grossand Katie Stahl. Photo by Whitney Arostegui. As an instructor at The Arc of the Arts, an Austin center serving those with disabilities, Stahl met a fellow teacher who shared her belief in art’s power. Last year, Lucy Gross joined Stahl in founding SAGE Studio, their vehicle for carrying on what Stahl witnessed in San Francisco. French, who lives in Dallas, specializes in abstracts. David Sulak creates paintings and detailed paper models of cars and buildings he spots around his hometown of Louise, southwest of Houston. Brian Dodd of Houston paints big, colorful acrylics depicting fantasy characters with names like Cakenstein and Blind Larry the Demon Gangster. Rick Fleming of Austin builds images and words into portraits: His favorite subjects are musicians and professional wrestlers. SAGE Studio artist Rick Fleming wearing a SAGE Studio t-shirt featuring his artwork; Photo by SAGE Studio. As Fleming added paintings to his portfolio, Gross and Stahl became aware that a dining room couldn’t encompass their other goal: opening a gallery to show their artists’ works. 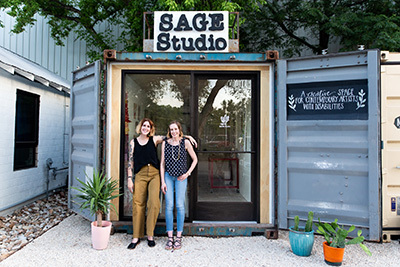 They accomplished that last May, when SAGE Studio moved onto the grounds of Shady Studios, an artists’ enclave in East Austin. 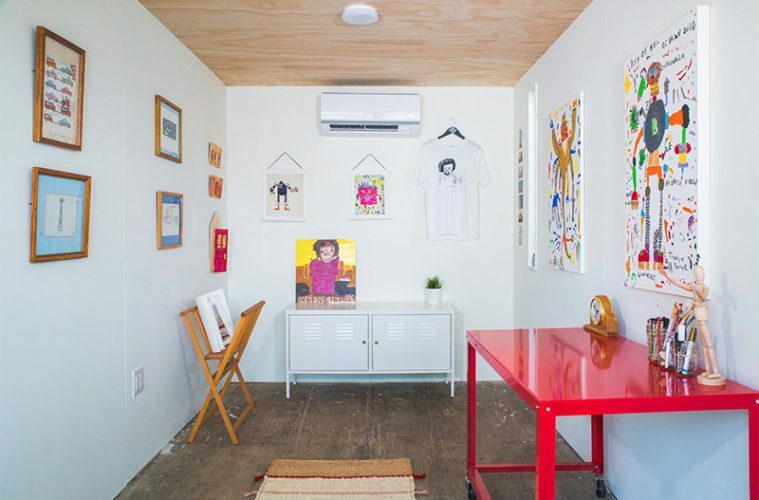 The new home is a converted shipping container, 8 feet by 20 feet. “We have a really powerful air-conditioning unit,” Stahl quips. Fleming and another artist each go there a few times a month to coach with Stahl and Gross. Four others, including French, Sulak and Dodd, live in other cities but come periodically to exhibit their work. 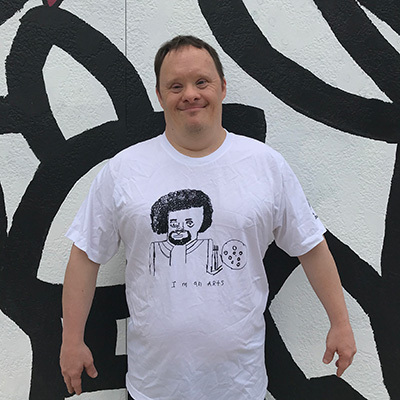 Stahl and Gross have found their artists through other educational work or through contacts with other programs for people with disabilities. The pair may provide materials or make suggestions about a medium or approach. They also help their artists seek broader exposure: In January, Stahl and Gross will take some of Sulak’s works to New York for display in the annual Outsider Art Fair.